Mom For A Deal: FREE Rita's Italian Ice March 20! FREE Rita's Italian Ice March 20! 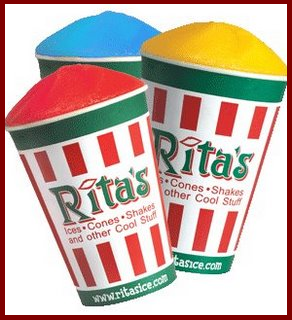 Every year on the first day of Spring, Rita's gives out free, regular size Italian Ice to each and every guest! In fact, in 2011, Rita’s guests showed their spring spirit and over 1.2 million cups of Italian Ice were given away in a ten hour period! A springtime tradition, Rita’s annual giveaway will be held on Tuesday, March 20 from noon to 9 p.m. at all open Rita’s locations. This is surely a tasty tradition that you won’t want to miss! So be sure to stop by your local Rita’s location and celebrate the arrival of spring for free!